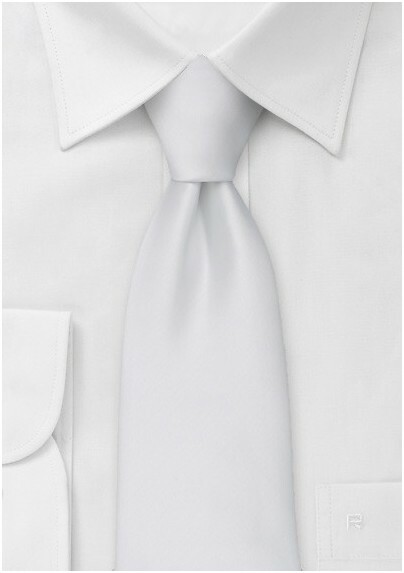 Add a dash of simple luxury to your accessory collection with this quintessential solid white tie constructed from a durable and versatile man-made microfiber. The bright white color is a perfect accessory for any formal occasion that might arise. White ties are a classic accessory that look best when teamed with black. 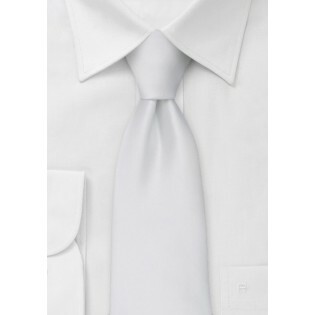 For formal occasions, we recommend pairing this crisp white tie with a well tailored black suit. For a dressed down look, we suggest pairing a white tie with a patterned dress shirt and a black sportscoat.